Following the official Festival du Cannes announcement, Anime Ltd. is pleased to confirm that Mirai will receive its World Premiere at the 2018 Cannes Film Festival and screen as part of the prestigious Director’s Fortnight (Quinzaine) sidebar in May. Mirai will be the first Japanese animation ever to receive a world premiere on the Croisette. 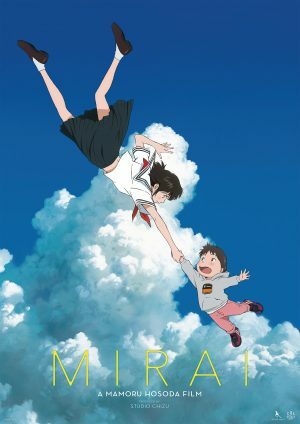 Mirai is created, written and directed by Mamoru Hosoda (The Boy and the Beast, The Girl Who Leapt Through Time and Summer Wars) and comes from Hosoda’s own production company Studio Chizu and will be released by Toho in Japan. The UK release is set for later in 2018 from Anime Ltd. and National Amusements. The birth of a sibling is a joyous time for many, but not for Kun. Four years old and spoiled rotten, he sees baby sister Mirai as competition for his parents’ love. Amidst the luscious leaves of a mysterious garden, a magical encounter with his little sister from the future will send the siblings on an intimate journey through time and space, to confront the boy’s uncertain feelings and prepare him to be the big brother he needs to be.